There are plenty of things to do in Budapest in July. During this month Budapest becomes lively with lots of festivals, concerts, open air theatre and all sort of things to do all over the city for locals and tourists to see, take part and enjoy. Budapest weather in July is very warm, days are long, very sunny and bright. Temperatures rise and the whole landscape shines in summer colors. I strongly recommend you bring along your sunglasses, a hat and suncream. Do not forget your bathing suit, as you shouldn’t miss the thermal baths nor the outdoor pools!! Please find below our top picks’ list of things to do in Budapest in July, there are plenty of fun activities you might be interested in doing besides sightseeing while visiting Budapest. Do what locals do and go where locals go! Have Fun! 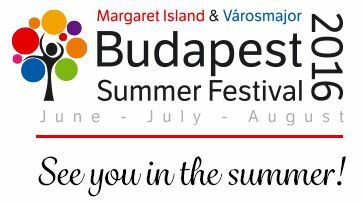 The Budapest Summer Festival is the city’s most important musical event of the season and one of the festivals that offers the best variety of things to do in Budapest in July and August. Budapest Summer Festival offers high quality folk, jazz and world music performances as well as renowned operas during the month of July and August. -The Budapest Summer Festival opens on June 10th with the opening concert of the National Philharmonic Orchestra featuring Chinese pianist Yuja Wang, and conducted by Zoltán Kocsis. The two Verdi opera presentations and the opera gala world premier offer classical movie lovers a true delicacy. A new production of Traviata by Ferenc Anger will be performed on June 24th and 26th with Erika Miklósa and Italian tenor Giuseppe Filianoti in the leading role. The Hungarian State Opera Orchestra and chorus will be conducted by Domonkos Héja. The open-air performances of Othello can be viewed on July 29 and 31 with Andrea Rost in the role of Desdemona, and American tenor, Marc Heller in the title role. 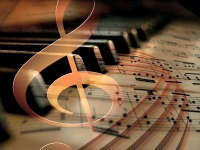 The Opera’s orchestra will be led by internationally acclaimed conductor Gergely Madaras. The anticipated sensation, Three tenors on Margaret Island opera gala will be performed on July 22nd. The popular concert-show tradition was renewed at its world premiere by three young star tenors who have already proven themselves on international stages. American James Valenti and French Sébastien Guéze vie for the audience’s favor with the most romantic melodies in opera literature in cooperation with the Budapest Philharmonic Orchestra conducted by Péter Halász. Evita, the world classic Webber musical, which brings to life the legendary Eva Peron awaits musical lovers on July 8th and 10th. Following the highly successful guest appearance with Hamlet, and linked to the 2016 Shakespeare year, the London Shakespeare’s Globe will revisit Margaret Island this time with a performance of the Two Gentlemen of Verona. Romeo and Juliet, the playwright’s most beautiful love story, can be seen in a performance by Europe’s preeminent classical ballet company’s the Monte Carlo Ballet on August 5th. The excellent company will perform director Jean-Christophe Maillot’s choreography to Prokofiev’s music. A Stacey Kent concert will delight fans of jazz and easy listening music on June 12th. The American jazz diva returns to Budapest with a big band line-up to thrill the audience with romantic melodies. When: Saturday 16th and Sunday 17th of July, 2016. From 10:00 am to 7:00 pm. Where: Danube River between Chain Bridge and Elizabeth Bridge. Red Bull Air Race World Championship race took place, once again the city will be alive with race fever on 16-17 July with a much-awaited reappearance on the calendar this year. Peter Besenyei, is a hungarian pilot and one of the greatest competitors not taking part anymore in this race. Watch him in action in the video below. This extreme acrobatic competition brings a great flow of adrenaline to all viewers. The first day will be dedicated to competitors timing and hard training. The opening ceremony of the contest will take place on this day at 3:00 pm, followed by the racing itself to be held on July 16th. The Red Bull Air Race World Championship showcases the world’s best pilots of a speed, precision, dexterity-based motor sports within the framework of competition. The fastest, easiest-to-navigate, using the lightest racing planes, pilots flying speed of 370 km / h along the low-height aerial slalom track, while the gravitational force of 10 Gs resist. If you are in Budapest during these days, do not miss this one in a time opportunity. More information: Check the Red Bull Air Race Website for a detailed program information. When: Every Friday and Saturday Night of July, 2015. From 10:00 pm to 4:00 am. It opens its doors every Friday and Saturday night to enjoy a quiet spa experience. Visiting Rudas baths at night can be a unique thing to do in Budapest in July. When: Every Tuesday and Sunday of July, 2016. 8:00 pm. 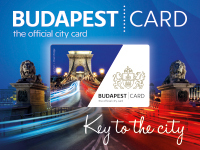 Where: Shopping Centers, department stores and boutiques in Budapest. Budapest`s Summer sales 2016 are now on. If you are looking for great bargains on clothes, shoes, accessories, books and all kind of stuff, explore the summer “Akcio” while in Budapest. Summer sales in Budapest start basically at the end of June, lasting the entire month of July, and in some cases until the beginning of August. Boutiques, department stores, shoe shops, book stores and even supermarkets cut prices with up to 70% off. There are several shopping venues all around the city such as Arena Plaza, Westend, Alle, Mammut MOM Park and Arkad shopping centers where you can find both local and international brands. I personally prefer Arena Plaza and Arkad shopping centers because there, one can find almost all shops you find everywhere else, all at the same place. -If you have time, avoid going shopping in the weekend. The best time to hunt the sales is during the week, preferably in the morning. -Dress comfortably and light. Save time in dressing rooms avoiding wearing items with laces and buttons. Wear a comfortable pair of running shoes as well. -Compare prices between stores and check the return policy. 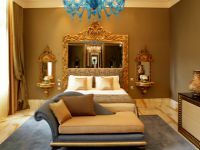 -The best discounts are provided at the very end of the sale, usually at the end of July but then the choice can be limited, especially on shoes and clothes. Where: Obuda’s Riverfront (Romai Part), Budapest III district. Romai Part is a charming riverbank in Budapest’s District III. It is a popular place for dining, strolling around, riding your bicycle, renting a kayak or a boat and sailing along the Danube. There are lots of terrace restaurants where in summer locals enjoy the cool breezes of the Danube as well as Hungarian summer delicacies such as langos, palacsinta (pancakes) and fried fish (hake). If you are willing to spend an afternoon as a local and with locals, come to Romai Part. Alternatively, you can go by boat, public boats operate from April to October, you can take the boat at Batthyányi tér dock and get off at Romaifűrdő dock. To get back to the city check the timetable at Romaifűrdő dock. “Due to the Danube floods in early June, Restaurants and ice cream shops in these are might be under renovation”. When: From May to September, 2016. Get off at Romaifürdo stop, where you can stroll around, have a nice cold drink or a langos (fried dough with toppings) at any of the restaurants you will find on the river bank. This place is one of locals’ favorite in summer time. Download a PDF timetable for weekdays, weekends and public holidays Here . Gouba is a Sunday street market where you can find interesting, colourful, creative and fun arts, crafts, books, antiques and gastronomy. From Spring to the end of Autumn this is the place where every Sunday young Hungarian musicians, ceramists, painters, jewelers and artists in general exhibit their own creations. János hegy is a wonderful place located in one of the most beautiful areas of Buda Hills from where you can admire the entire city of Budapest. 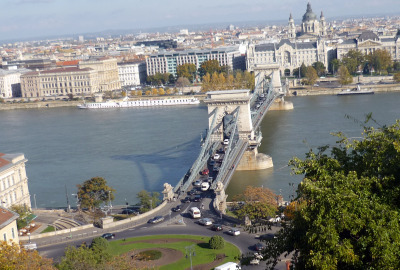 János hegy is the highest point in the Buda Hills where you can walk up to Elizabeth lookout and enjoy 350°breathtaking views of the city and surroundings, have a relaxed walk or even take a ride back to the city on the children railway. Fans with valid tickets will have the opportunity to enjoy the Public Pit Walk at 10:00 am and at 4:00 pm on July 22th. Qualifying for pole position takes place at 2:00pm on July 23th and the race itself takes place on Sunday, July 24, at 2:00 pm. More information: Check the Hungarian Formula 1 website for detailed information. Or visit the Hungaroring official website for directions on how to get there.